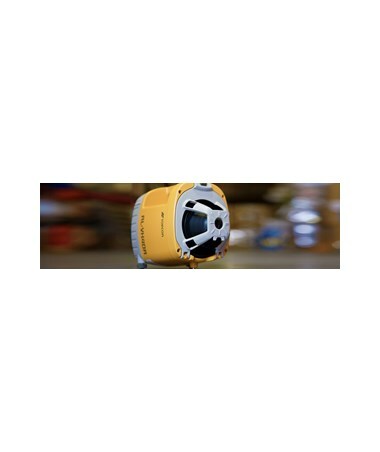 The Topcon RL-VH4DR Multi-Purpose Rotary Laser is a self-leveling tool used for measuring up to 1,000 feet range with a laser receiver, with a higher accuracy of ±1/16-inch at 65 feet. The unit has a bubble level, as well as a plumb beam. Self-leveling within ±5 degrees, the 180-degree straight beam can be used for both indicating horizontal and vertical lines. 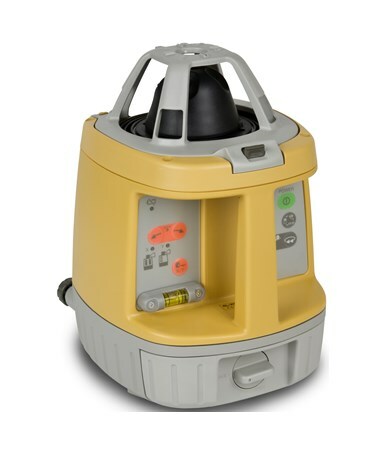 The RL-VH4DR's laser guard can also be removed, providing a 360-degree field. 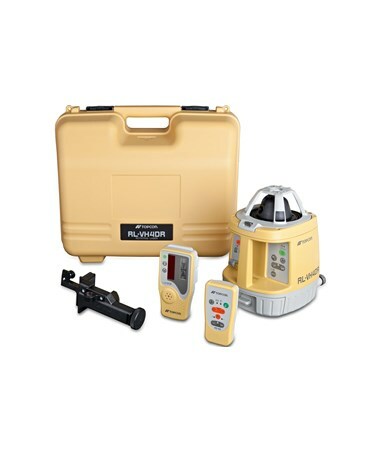 With an automatic leveling feature, Topcon RL-VH4DR Laser will give you an alert if it is no longer level. 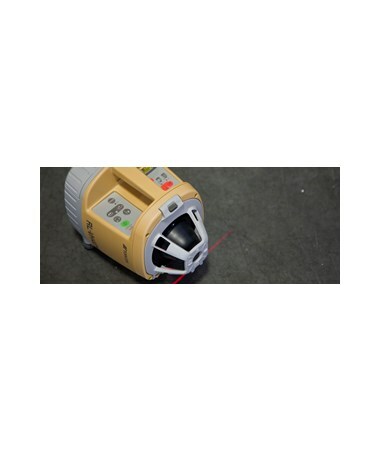 It features an autoscan beam control with line drawing. Also, this rotating laser has rotating speeds of 0 and 300 rotations per minute. 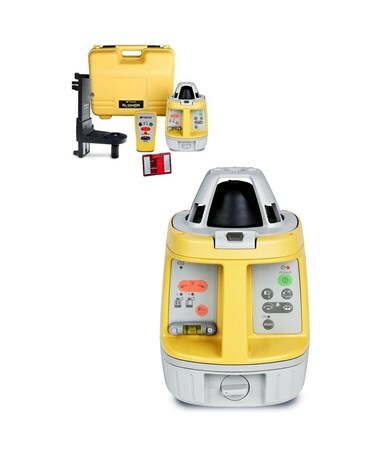 Having an IP54 rating, the RL-VH4DR is dustproof and water resistant. It can operate up to 90 hours using alkaline batteries and 45 hours with NiMH rechargeable batteries. In addition, the operating temperature -4°F to 122°F allows the instrument to withstand harsh weather conditions. 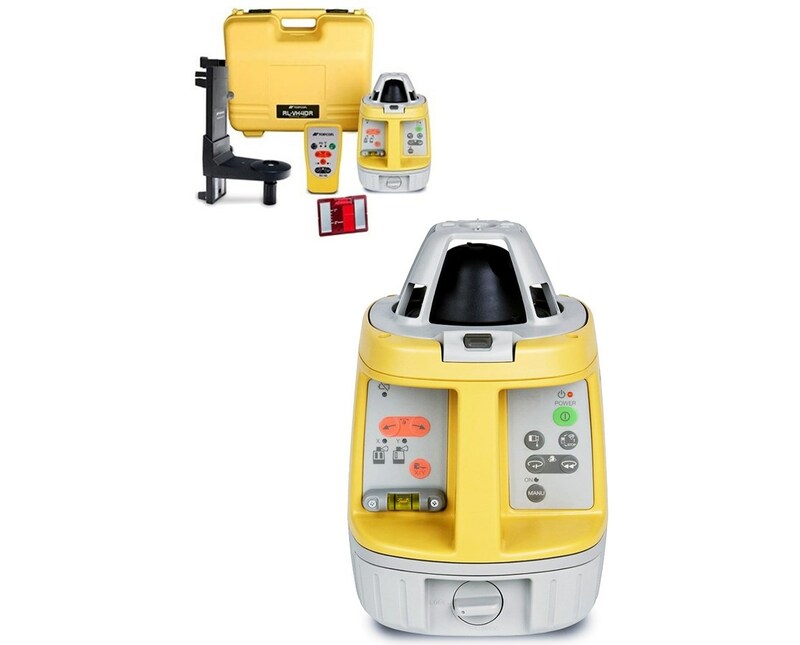 The Topcon RL-VH4DR Multi-Purpose Rotary Laser offers two packages with an optional laser receiver. Please choose from the drop-down menu above. 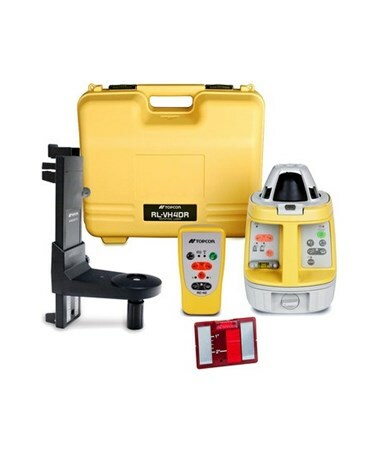 This package includes an RC-40 Remote, Scan Target, Wallmount, Dry Battery Kit, and Carrying Case. 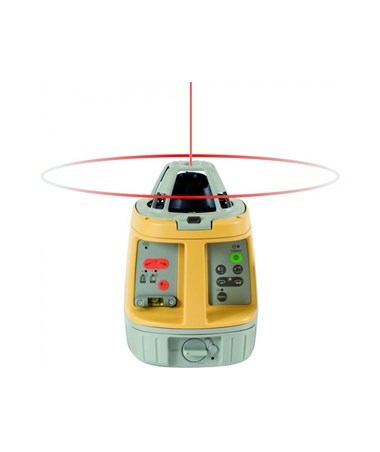 This package includes an LS-80A Laser Detector with Holder 6, RC-40 Remote, Dry Battery Kit, and Carrying Case.